My memories of the Blue Mountains can be summed as “old fashioned”. 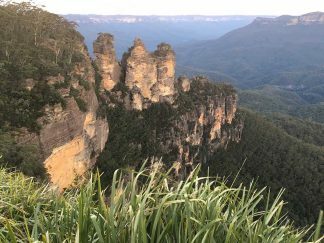 We went recently for a weekend away to Katoomba and stayed near iconic the Three Sisters (incidentally there is the cheeky little brother as well). I had forgotten how spectacular the Megalong Valley is, and we had amazing clear vision all the way to the horizon. We were staying near the Skyway which then took us across the valley, to Scenic World. What a change from the past! The team of people that that ran the place were excellent. The whole set up is very modern and has a fun feel to it. I had forgotten how VERTICAL the Scenic Railway was. 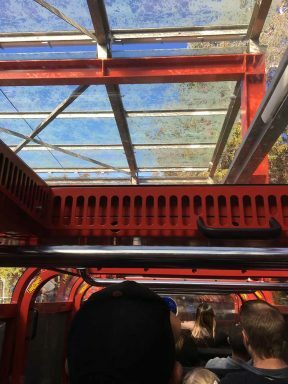 The carriages now have a glass dome seal and the hand rail in front of you is padded. The padding is for your knees as the ride makes you almost fall forward, so your knees rest on it! It’s still as amazing when you go up backwards. When I last went, the ride was roofless and scarier. Oh well, safety first! The cable car took us back up to the top of the valley with spectacular views of the Three Sisters and the local waterfall. They also have boardwalks at the base of the valley to show the original coal mining history of the area, and the beautiful rainforest. 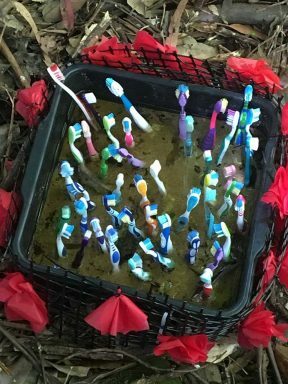 They happened to have interesting, weird and wonderful art installations in the rainforest – another surprise of the area! There was even a dental section to it! 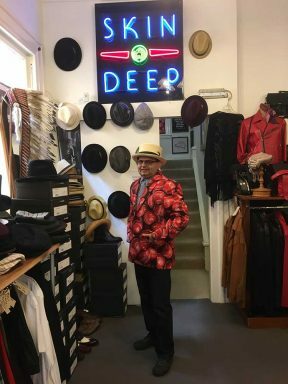 Katoomba has become more hip with many restaurants, cafes, bars and live band venues. 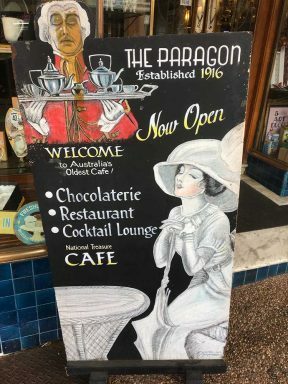 The Carrington Hotel has been revitalised, but the Paragon Café still has its old world charm. The place is obviously a hot spot for tourists. You can now book holidays and tour packages on your phone via apps and get a virtual ticket that can be scanned off your phone screen. A funny twist to the digital world came when we met a couple who took a train to Katoomba. They were from Boston USA, and tried to get an Uber ride to their hotel. Uber does not operate in Katoomba, yet. So they walked, with their bags, 15 minutes to their accommodation. There is a great local taxi service that would have arrived in 5 minutes, and would have taken them a leisurely, comfortable, 3 minute drive, to their hotel. 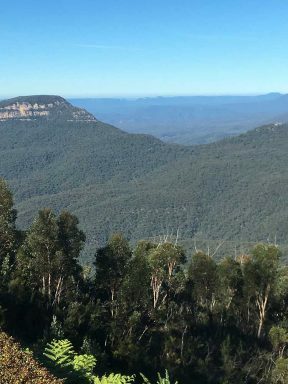 Worth a look – the old (new) Blue Mountains.